Our annual extended family trip was a little different this year. Instead of sand and surf, we choose mountains and adventure. Truthfully, since we live very close to the mountains, we probably take them for granted and don’t really spend long periods of time vacationing there – except to ski. 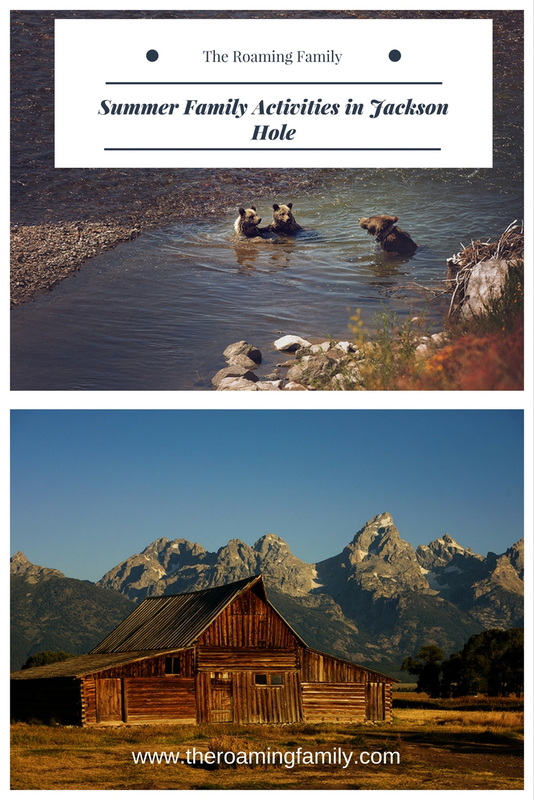 We decided to break out of our norm this year and we definitely found the best summer family activities in Jackson Hole. Jackson Hole is really one of the most beautiful places on earth. There’s a reason Harrison Ford lives there people! Not only are the towns of Jackson Hole and Teton Village totally quaint and picturesque, the Teton Mountain Range absolutely takes your breath away. It’s the holy grail for photographers because of it’s beauty – hence, it was right up my alley. We had loose plans when we arrived but knew we also wanted to spend some time at the pool at the Snake River Lodge (what kid doesn’t love a half indoor-half outdoor pool?). Our list mostly consisted of hiking, seeing the national parks, a photo safari for me and exploring town. 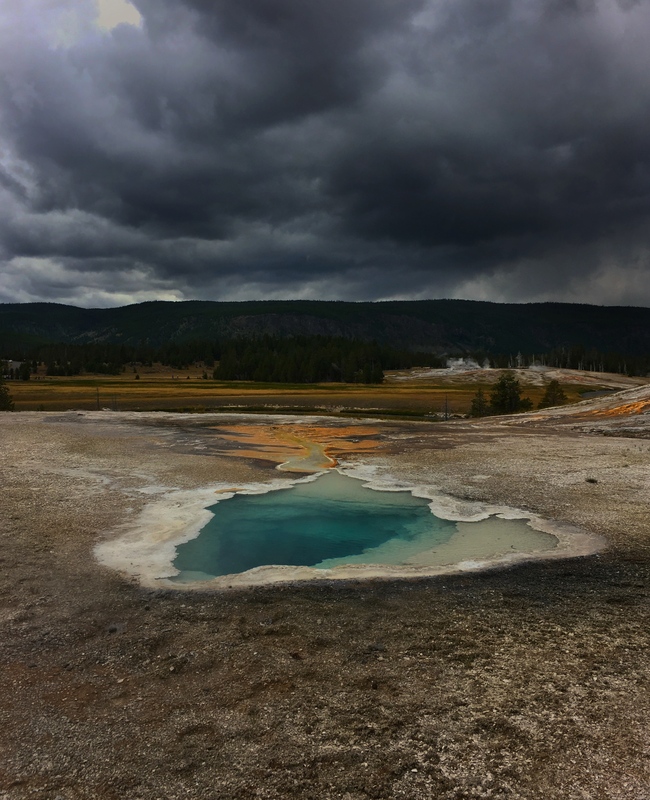 Yellowstone National Park – No visit to that area of Wyoming is complete without a trip to Yellowstone. It does require some planning, however. Summer in Jackson and Yellowstone are an extremely busy time. Get a map of the park before you go and and map out a plan if you plan to only spend one day there. If you’re staying near the Teton area, definitely leave early – 8am at the latest. For some really comprehensive information, check here. It’s a two hour drive and there is a lot of traffic and people. Our route was Old Faithful, and the loop near old Faithful, including Black Sand Basin. We had small children with us, so any hike to see geysers and pools had to be under 2 miles. After the loop near Old Faithful, we relaxed on the porch at the Old Faithful Inn. It takes a long time walk around with little kids, so don’t be surprised if you only cover a couple of miles in one day. Near the end of the day, we stopped at random thermal pools that we found on our map. Our day ended with dinner at Jackson Lake Lodge. “Gorgeous” doesn’t even begin to describe the views from the lobby of this resort. Grand Adventure Park in Teton Village – These days, it seems that no ski resort is complete without an adventure center somewhere on the mountain. Resorts have realized that they can make money in the summer, as well. The adventure center in Teton Village comes with a climbing wall, a trampoline/bungee, a drop tower, a huge ropes course, a bike park and a tram sightseeing park. Activities are available a la carte or as a package. If you plan to spend the majority of the day there, definitely get the package, as each activity costs around $15 and just one ride on the tram is around $30. Our kids love going on things over and over again so the pass is definitely the better investment. Helpful hint: If you just want to go to the top of the mountain, wait until 5pm and the gondola is free. It will take you all the way to the top for some amazing views and an awesome restaurant, Piste. Free concerts in Teton Village – There are a variety of free concerts in the area during the summer, but our favorite was Concert on the Commons, every Sunday at 5pm. Located along the commons, in front of many of the restaurants, with plenty of room. Here, bands play for a few hours in the lingering twilight. Our kids had a blast dancing around the grass and we were able to have some drinks and enjoy some music. Another great free concert is every Wednesday on the deck at Piste. A photographic/wildlife Tour – This was number one on my list. I was obsessed with finding and taking pictures of a grizzly bear. I contacted Jack Bayles Photography and I found the right person. Jack and his wife, Gina, have lived in the area for a few years and spend every single day exploring and taking photographs (Jack sells his work) and taking tourists to little known spots to capture the beauty of Jackson. He took us to areas we didn’t even know existed and knew exactly where to find Jackson’s local celebrity, Grizzly 399 and her cubs. Grizzly 399 is 21 years old and has been featured in National Geographic, among other publications. Seeing her was a thrill and I managed to get photographs I never imagined I would get. Bonus: we saw moose, buffalo and antelope as well, along with the iconic cabins captured in so many photos. Jack was an expert at giving us the interesting history of the area and providing me with some photographic techniques I had never tried. Hiking at near Jenny Lake – With little kids, hiking had to be an easy time and Jenny Lake has several hikes, ranging from strenuous to easy. Many people like to start by taking the ferry across the lake and hiking back or vice versa. For our hike, we started at Jenny Lake Lodge for lunch (of course!) and took an easy hiking trail from the lodge over to the lake. Just like Yellowstone, I definitely think mapping out a plan beforehand is a good idea so you don’t take on too much. Our hike was about a mile and a half and we were able to spend some time relaxing right on the shore of the Lake. Jenny Lake Lodge is happy to help you map out a plan. A Jenny Lake boat cruise is fun also. A walk and tour of Jackson – Prior to our trip, we had only been to Jackson in the winter. Boy were we missing a treat. Jackson in the summer is amazing. We had a blast walking around town exploring amazing restaurants, looking in galleries and eating ice cream. Sitting in the town square and watching tourists was a blast also. We had no idea how many people from other countries travel to the U.S to visit the area. The National Parks are very, very popular with all nationalities. A great itinerary would be lunch at the Town Square Tavern (awesome people watching) or the Bunnery, a ride in the old time stagecoach around the square and a visit to Thomas Mangelson’s gallery, followed by Moo’s Ice Cream. Jackson has always been a favorite place for skiing for our family and we’re so glad we discovered it as a summer escape. It has something for everyone, regardless of age. The views are spectacular and the weather is amazing. 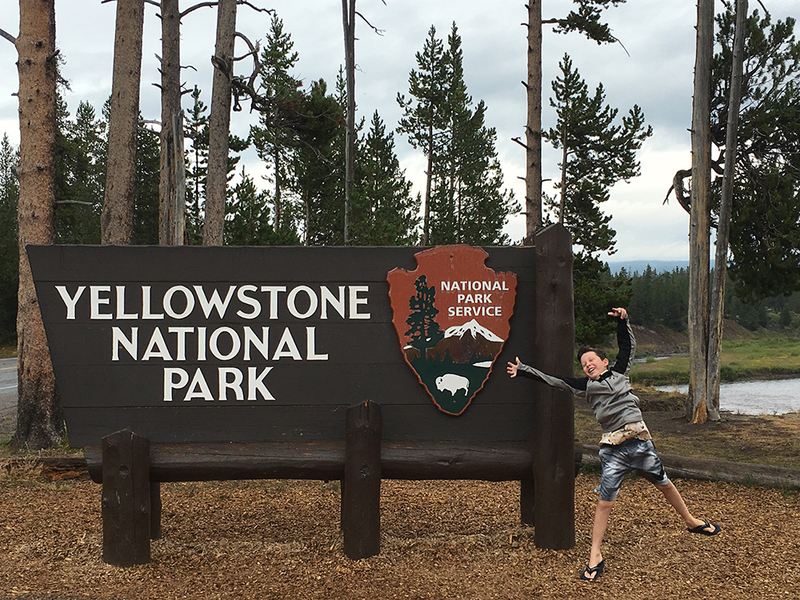 I was thrilled that finding summer family activities in Jackson Hole was easy. We are definitely planning on going back! Hopefully to stay at Jenny Lake Lodge – that place was dreamy! 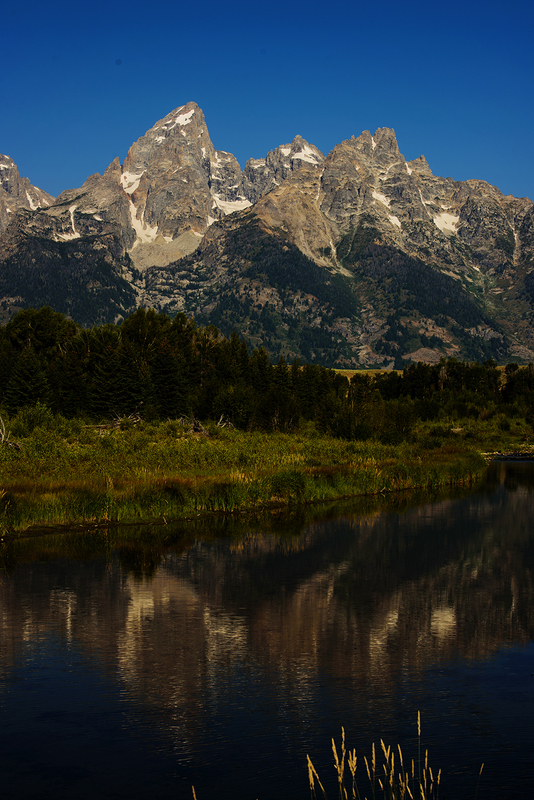 Thinking about visiting Jackson Hole soon? Contact me here and I can help. I know this place backwards and forwards now!